The Julien Dubuque International Film Festival, set for Wednesday to Sunday, April 24-28 in downtown Dubuque, has extended the festivities to cover five days! “We needed another day to fit in all the great panels, screenings, and events we have planned,” said Susan Gorrell, executive director of the festival. More than 20 features, 20 documentaries and 70 shorts were named Official Selections this year and will be screened at 10 venues in downtown Dubuque. There were over 700 submissions from over 50 countries, including Germany, the United Kingdom, Japan, Cuba, New Zealand, and more. The eighth annual festival begins Wednesday with a full day of film screenings and a welcome mingle event from 6 to 8 p.m. at Five Flags Center. 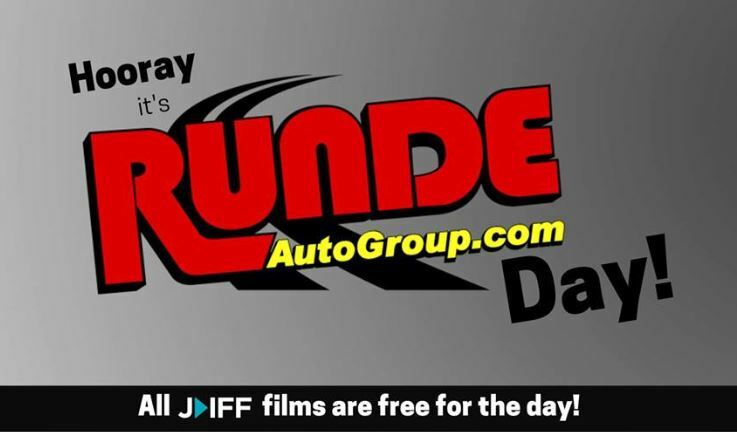 Thursday is Runde Auto Group Free Day, so all film screenings are FREE that day courtesy of Runde Auto Group! Thursday night is Canada night and the festival will welcome the Canadian Consulate for its Celebrate Canada night from 7:30 to 9:30 p.m. at Five Flags Theatre. There will be a Canada-sponsored film and a Q&A with the filmmakers. The after party will be at 9:30 p.m. at Hotel Julien Dubuque’s Riverboat Lounge and will feature live music by The Lonely Goats. Friday will include two special screenings from a film company called Shoreline Entertainment, including Innocent Kiss, which stars Burt Reynolds, and Elijah & the Rock Creatures, a science fiction film from Canada. 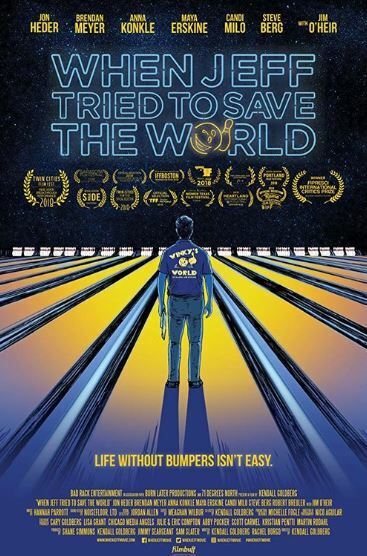 Friday evening’s activities have been dubbed “Flick, Block & Bowl,” and will begin with a red carpet screening of When Jeff Tried to Save the World, which stars Jon Heder. Heder played Napoleon in the 2004 indie comedy Napoleon Dynamite. There will be a Q&A session with the director and producer, as well as to-be-announced cast and crew members, following the film. Tickets to the screening, held at the Five Flags Theater, are $10 in advance and $15 at the door. Doors open at 4:30 p.m.
After the screening, film-goers can walk down to the JDIFF Block Party. This free street party, held from 6 to 10 p.m., will feature beer gardens and two bands on Main Street between 2nd and 3rd. Almost Classy will take the stage at 6 p.m. and Arzalez will begin at 8 p.m. The event is sponsored by American Trust. The party will then move to Diamond Jo Casino’s Cherry Lanes, where attendees can participate in cosmic bowling from 10 p.m. to 1 a.m. Tickets are $20 in advance or $30 at the door. There are a limited number of tickets available for this package, which includes free bowling, shoes, food, and music by JC Brooks Band, which is featured in When Jeff Tried to Save the World. The event is sponsored by Diamond Jo Casino. Saturday will again feature the glitzy Awards Night ceremony at Five Flags Theatre, recognizing the best films of the festival. The show will be from 8 to 9:30 p.m. and include musical performances by Arzales, Caroline Curtis, and more. The Awards After-Party, set for 9:30 p.m. to midnight in the Five Flags Civic Center, will immediately follow the show. It will feature complimentary food by East Mill Bakery and music by Ceili Rain. The fest’s final day, Sunday, is Kid’s Day. 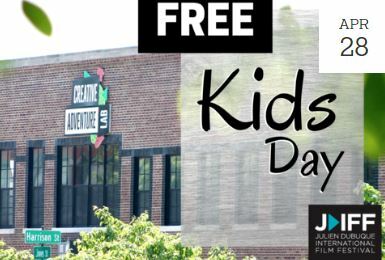 From 10 a.m. to 4 p.m., The Belltower, The Scene Studio, and Creative Adventure Lab will entertain kids with free workshops at Creative Adventure Lab. That night, the festival will come to a close with a screening of the film F.I.S.T., which starred Slyvestor Stallone and was filmed in Dubuque. “This is the 40th anniversary of that film, so what better way to celebrate that than to screen it right where it was filmed,” Gorrell said. Voted one of the top 50 film festivals worth the entry fee by MovieMaker Magazine, the eighth annual Julien Dubuque International Film Festival is set for April 24-28 in downtown Dubuque. For a look at all of the festival’s events, visit www.julienfilmfest.com.